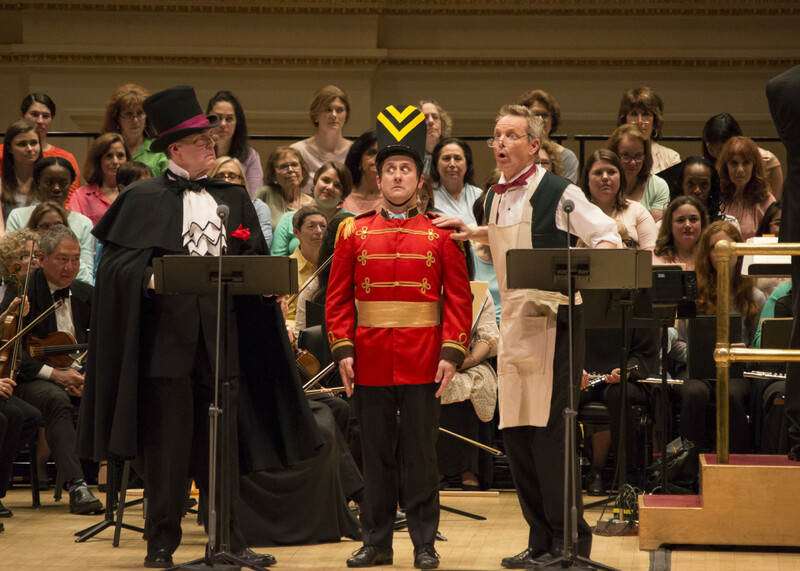 MasterVoices’ semi-staged concert version of Victor Herbert’s 1903 extravaganza Babes in Toyland – written originally as a follow-up to the hugely successful stage version of The Wizard of Oz which had played the same New York theater, the Majestic in Columbus Circle – was, in most respects, a cause for great celebration: it was, after all, the most high-profile venue and performance accorded Herbert in many decades. 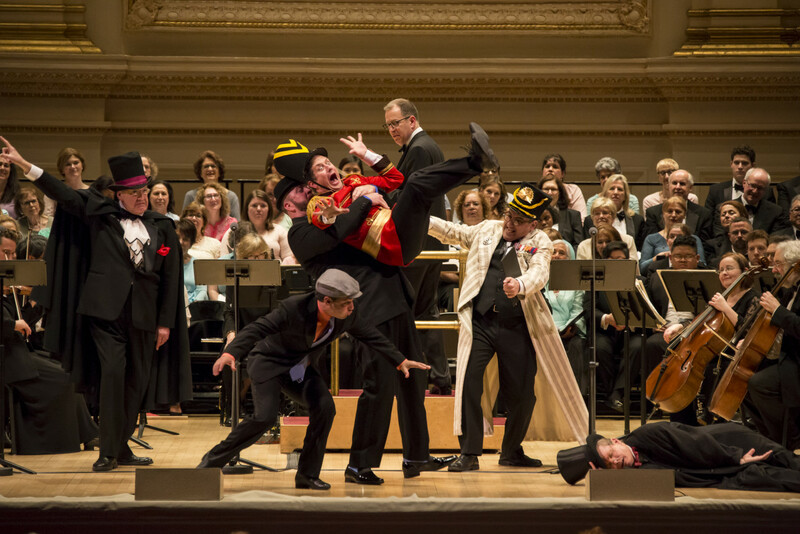 Of course, we’ve had excellent productions from groups such as the Victor Herbert Renaissance Project Live!, Light Opera of New York, the Comic Opera Guild, and others, but Carnegie Hall is … well, Carnegie Hall! And with Ted Sperling conducting the Orchestra of St. Luke’s, and the large forces of MasterVoices, Herbert’s lush, ambitious score – one which crosses many genres (long orchestral passages, operetta, Broadway) – the music could not have been in better hands. 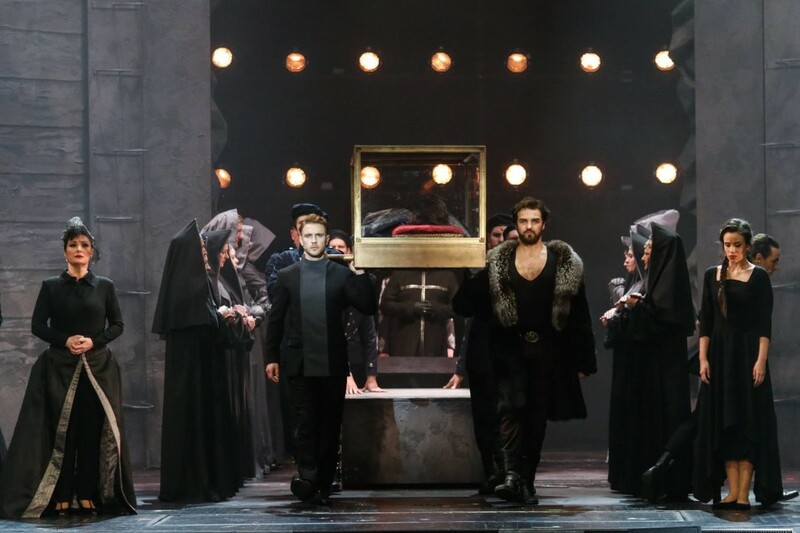 So, too, as with past MasterVoices spring concerts of musical theater works, the cast was chosen from among Broadway’s top ranks, all of whom entered happily into the spirit of the occasion. But enjoyment was tempered by the sometimes rather condescending narration supplied by Joe Keenan for actress Blair Brown. 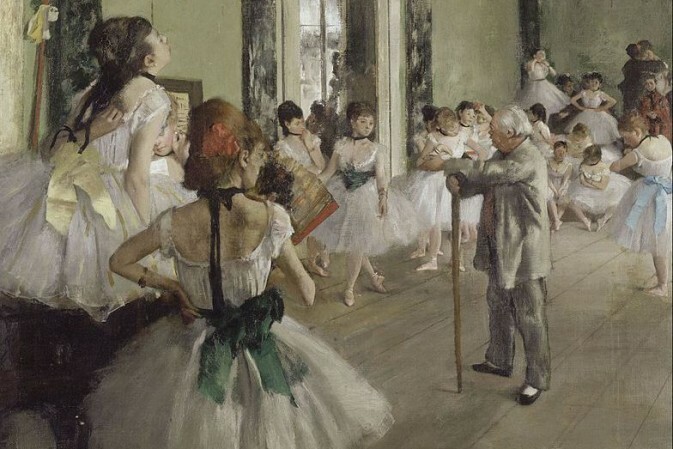 At times, her script seemed to be making apologies for the quaintness of the piece, the deficiencies of the original text, and even for the prodigious length of Herbert’s music. At other times, it was giving us mood-breaking historical detail which added another layer of distancing from the music and narrative. Her script sometimes overlapped the orchestral passages which seemed to relegate the music to secondary place. The narration might rather have been read in a warm bedtime story tone explaining, where necessary, the fairy tale action, perhaps, at most, describing, with an appropriate sense of wonderment, the eye-popping, colorful, and groundbreaking scenic effects of the original production. Actually, projections, which MasterVoices used in its Sound of Music performance a couple of years ago, might have been put to good use here. The story (original book by lyricist Glen MacDonough) – rather darker than you’d expect from the familiar Laurel & Hardy or the 1960s Disney films – involves evil Uncle Barnaby (Jonathan Freeman) engaging a couple of bungling henchmen, Roderigo (Jeffrey Schecter) and Gonzorgo (Chris Sullivan), to kill his niece and nephew, Jane (Lauren Worsham) and Alan (Christopher Fitzgerald) to gain their inheritance. He also has lascivious eyes on Contrary Mary (Kelli O’Hara), as a bride. Mary’s ally in evading Barnaby is Tom Tom (Jay Armstrong Johnson). 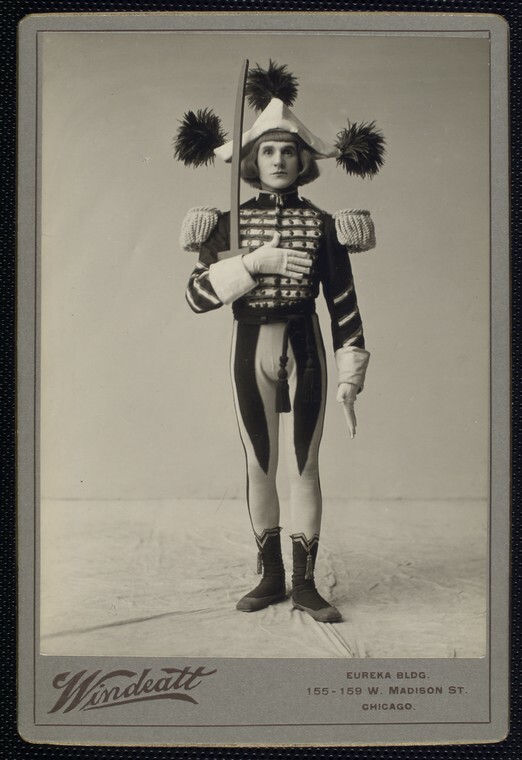 The amazingly versatile Irwin’s Toymaker was well characterized, and he had many superb moments of mime and dancing. Fitzgerald also employed his wonderful comic skills to great effect, whether in drag as a gypsy (“Fioretta”), or emoting a hammy operatic “Rock-a-bye Baby” in the “Song of the Poet” sequence. Freeman expertly played his evil Barnaby role with relish. Schecter and Sullivan were quite amusing, too, in their comic villain bits. 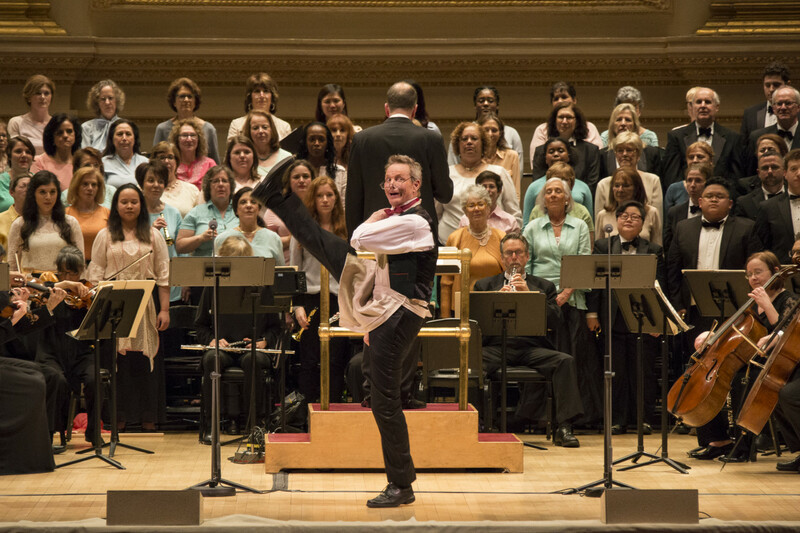 MasterVoices provided plush accompaniment throughout, shining in the choral parts of “Never Mind, Bo-Peep, We Will Find Your Sheep,” “Go to Sleep, Slumber Deep” and many others. Critics in 1903 duly noted the show’s length, though few complained about it. And as Henry Finck wrote in the Evening Post back then, it would be difficult to know where to make cuts. “Certainly not in the music, for there is really nothing that can be spared…Every bar is melodious, while some of the incidental and melodramatic music betrays Mr. Herbert’s position among the leading American composers.” At Carnegie Hall, alas, there were cuts within numbers, such as what should have been the 14-minute orchestral prologue, and some important pieces were left out altogether (e.g. “Legend of the Castle,” “The Military Ball,” “And He Won’t Be Happy Until He Gets It”). 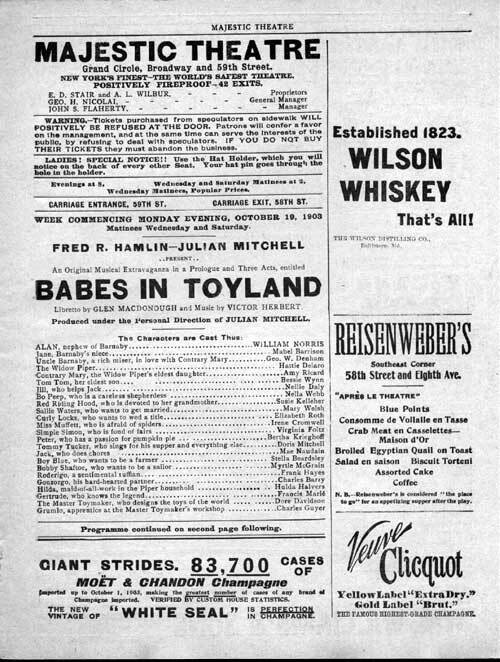 The cast list for the 1903 “Babes in Toyland” at the Majestic Theatre. So even with caveats, this was a bountifully entertaining evening. Let’s hear it for further excavations of these delightful treasures of an earlier era. To read the original article, click here. 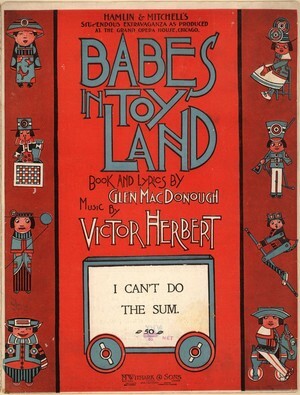 For Kurt Gänzl’s essay on the original Babes in Toyland, click here. I am delighted that you are doing this neglected show. I was not able to make it to NYC to see this production. Are you planning to release a recording?